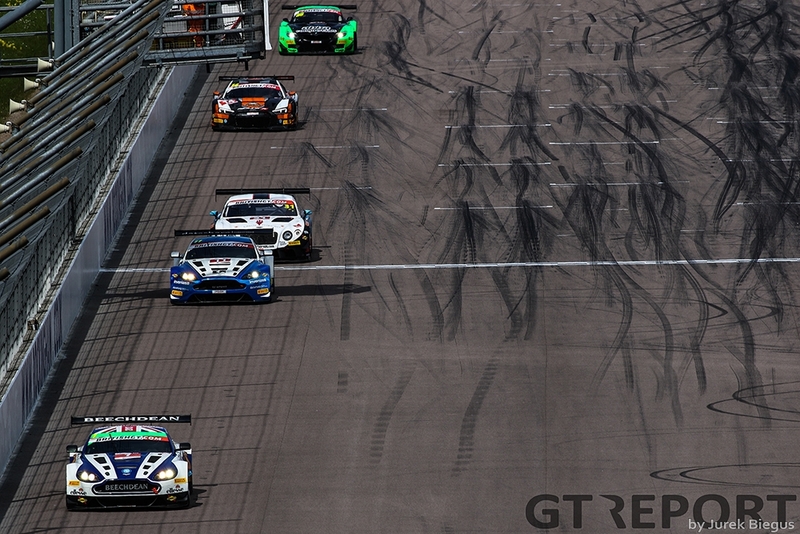 TF Sport took another dominant victory in the second round of the British GT Championship. 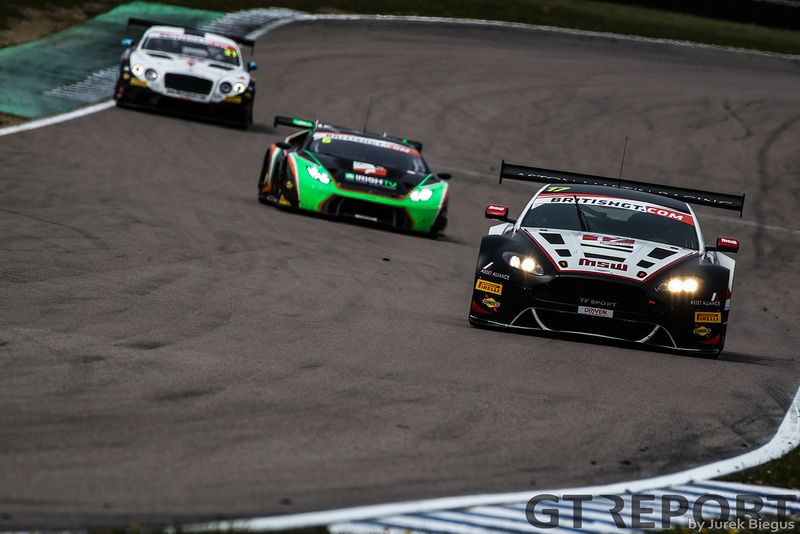 Drivers Derek Johnston and Jonny Adam led the two-hour long Rockingham race from start to finish, enforcing the Aston Martin Vantage GT3’s dominance like they did in the season-opening race at Brands Hatch. 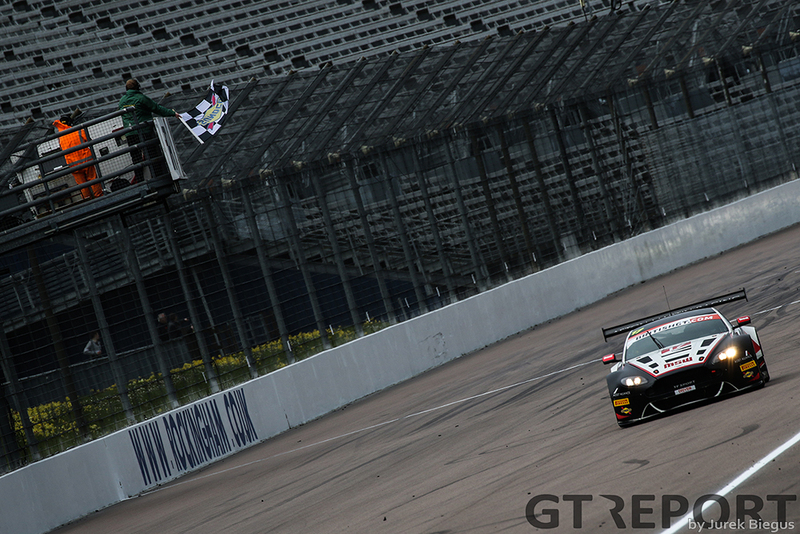 Starting from pole, Johnston holds the lead from the green to build a ten second lead before handing over to Adam after fifty minutes of racing. Despite a twenty second success penalty following their victory at Brands Hatch, Adam is still able to bring the car out just ahead of the Barwell Motorsport Lamborghini Huracán GT3 of Adam Carroll, who also has a success penalty to deal with. Unfortunately for Carroll, a misjudgement at the end of a safety car period sees him overtake traffic before crossing the line, earning the Irishman a drive-through penalty. This leaves Adam with an unopposed drive to the chequered flag and a second consecutive victory. Behind the TF Sport Aston come Jon Minshaw and Phil Keen in their Barwell Huracán, who spend much of the race chasing down Carroll in the sister Lamborghini. 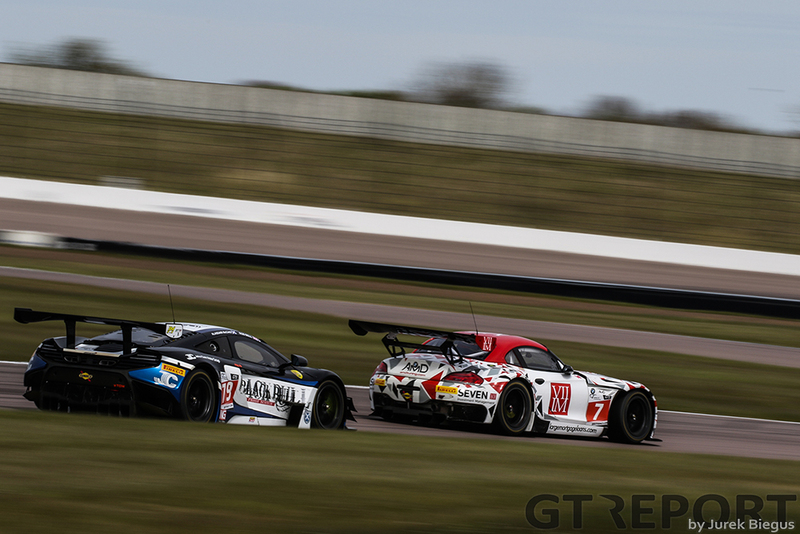 The time spend chasing the Lamborghini allows the leading TF Vantage to make good its escape, so by the time Carroll gives up second place for his drive-through penalty, Keen finds himself fending off the attentions of Ross Gunn in the Beechdean Aston Martin Vantage GT3. 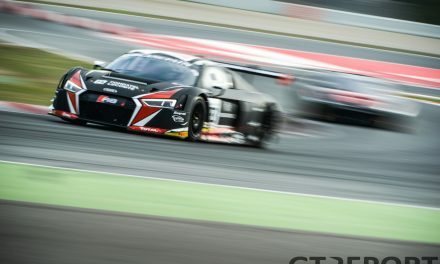 The GT4 race ends in controversy when winners Nathan Freke and Anna Walewska are excluded from the results post-race for overtaking under yellows on lap two. 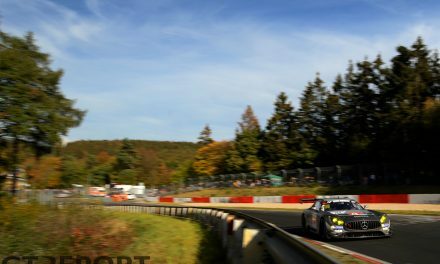 The exclusion is all the more bitter as the Century Motorsport Ginetta G55 GT4 had struggled all weekend and has to start the race dead last. 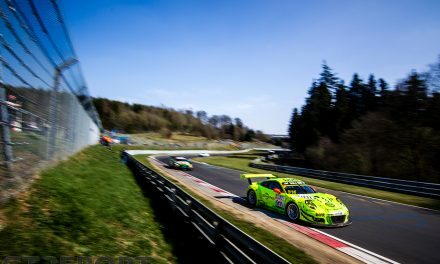 Despite the problems, Freke and Walewska are able to fight their way through the GT4 field to take victory and at least enjoy the podium celebrations before their moment was stripped from them. This gives the result to the Beechdean Aston Martin Vantage GT4 pairing of Jack Bartholomew and Jordan Albert with the second Century Ginetta of Sean Byrne and Alexander Schjerpen being promoted to P2. 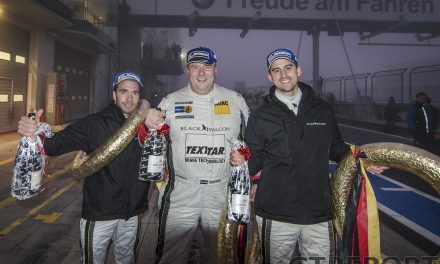 The Lanan Racing Ginetta G55 of Alex Reed and Joey Foster completes the GT4 podium.